Carey Boiler Works on the job! Carey Boiler Works LLC offers fast, affordable and dependable mobile boiler rental services to the Mid-Atlantic region, specializing in emergency boiler rentals, temporary steam boilers, firetube and watertube rental boilers to the following areas: Pennsylvania, New York, New Jersey, Maryland, Delaware, Virginia, West Virgina and Washington, DC. A sampling of the locations we serve with temporary boiler rentals include Philadelphia PA, Pittsburgh PA, Allentown-Bethlehem PA, Erie PA, Lancaster-York PA, Scranton-Wilkes Barre PA, Harrisburg PA, Altoona PA, State College PA, Williamsport PA, New York City NY, Albany NY, Buffalo NY, Rochester NY, Syracuse NY, Yonkers NY, Newark NJ, Paterson NJ, Trenton NJ, Camden NJ, Baltimore MD, Frederick MD, Gaithersburg MD, Hagerstown MD, Columbia, MD, Annapolis MD, Wilmington DE, Dover DE, Norfolk VA, Richmond VA, Newport News VA, Alexandria VA, Roanoke VA, Lynchburg VA, Charleston WV, Parkersburg WV, Winchester WV, Washington, DC and many more. 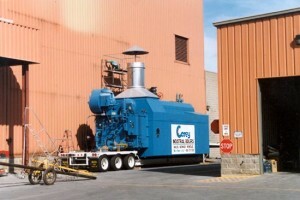 Rental boilers range in size from 20 HP to 82,500 PPH. Mobile steam boiler rental and hot water rental boilers available. Temporary boilers are available for low pressure (15 psi or less) or high pressure (up to 750 psi) applications. Emergency boiler rentals are available to ship 24 hours a day, 7 days a week! Need Help? Call 1-800-727-7252 or complete the form below! !